The Ritz: The Quintessential Cookbook is the first book to share the recipes that are served in the restaurant today, at lunch and at dinner. The book features 100 delicious recipes, such as Roast scallops bergamot & avocado, Saddle of lamb belle époque and Grand Marnier Soufflé, and is divided into the four seasons: spring, summer, autumn and winter. The dishes reflect the glorious opulence and celebratory ambience of the dining room at The Ritz; seasonal dishes of fish, shellfish, meat, poultry and game. Desserts include pastries, mousses, ice creams and spectacular, perfectly-risen soufflés. There are recipes which are simple and others for the more ambitious cook, plus helpful tips to guide you at home, and avoid culinary headaches. Along the way, John Williams shares his culinary philosophy and expertise. 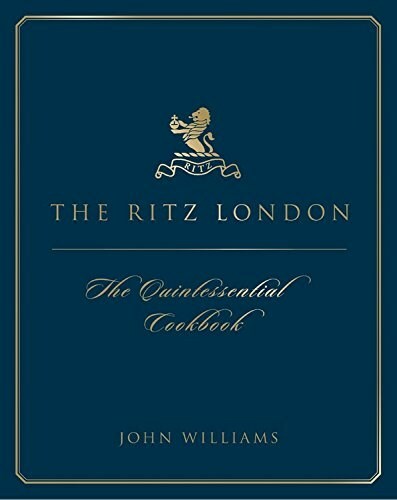 For any cook who has wondered how they do it at The Ritz, this book will provide the answers. There are plenty of entertaining tales about the hotel and unique glimpses of London's finest kitchen beneath ground.